UK government plans for the next generation of Trident submarine reactors are under threat from staff shortages and spending cuts, according to an expert report for the Ministry of Defence (MoD). 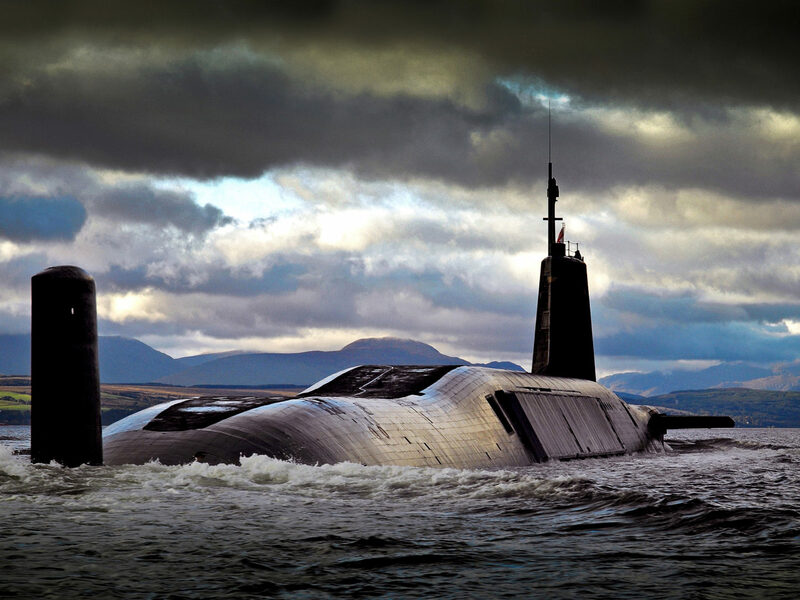 The report criticises the MoD’s nuclear submarine programme as “introspective”, “somewhat incestuous” and warns it’s facing a “perfect storm” of problems. It urges the MoD to work more closely with the civil nuclear power industry. Critics warn that the MoD is putting public safety at risk by cutting corners, and that nuclear defence could be “cross-subsidised” by the civil industry. The MoD, however, accepted that it faced “challenges” but stressed that safety was not being compromised. Last week former military chiefs warned that British armed forces were no longer fit for purpose. The army was 20 years out of date, the navy underfunded and the air force at the edge of its engineering capacity, said General Sir Richard Barrons, who retired last year as commander of joint forces command. The submarine report was commissioned by the MoD in 2014 after a radiation leak at the Vulcan reactor testing facility near Dounreay in Caithness. The leak forced a £270 million rejig of the refuelling programme for existing Trident submarines, based on the Clyde. But the report has been kept secret since then, until a heavily censored version was released by the MoD earlier this month under freedom of information law. It was written by three academics close to the nuclear industry: Professor Robin Grimes from Imperial College in London, Professor Dame Sue Ion who used to be a director of British Nuclear Fuels Limited, and Professor Andrew Sherry from the University of Manchester. They criticised the programme for a “culture of optimism” that assumed success. Research groups were “introspective and closed”, and the programme was viewed as “somewhat incestuous”. The Scottish National Party insisted safety had to be paramount. “It is absolutely clear from this report, and many others we have seen, that the MoD is dangerously trying to cut corners – and that is clearly very worrying,” said the party’s defence spokesperson at Westminster, Stewart McDonald MP. John Large, a nuclear consulting engineer, described MoD budget cuts as “piecemeal and expedient”. Its culture of optimism was very likely to be badly dented by “the continuing onslaught of willy-nilly cutbacks in the research and development programme”, he said. He was also very critical of the MoD’s censorship of large parts of the report. “The MoD consider themselves and the nuclear safety issues arising from the naval nuclear propulsion programme to be beyond public accountability,” he argued. Nuclear Information Service, the research group that obtained the report, pointed out that the public were already paying for submarine reactor mishaps. “Plans for the new Dreadnought submarines are based on the assumption that nothing will go wrong,” said the group’s David Cullen. The MoD published a strategy for addressing the “nuclear skills shortfall” with the civil industry in 2016. “The MoD of course faces challenges in this highly-specialised area, which we work to meet,” said a spokesman. Photo thanks to Robert Sullivan via CC0 1.0. A version of this story was published in the Sunday Herald on 19 November 2017.